On this new album, Arbre Noir concentrate entirely on the ancient culture of India, using also various traditional Indian instruments (thavil, ghatam, kanjeera, mridangam etc.) and Hindi speech samples. 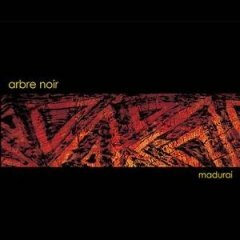 Besides guitars, bass and melodica, also on Madurai Arbre Noirs sound is once again also defined by the use of the didgeridoo, a firm component of Arbre Noirs sound for years, even though the instrument comes from a - geographically and culturally - completely different region than India.